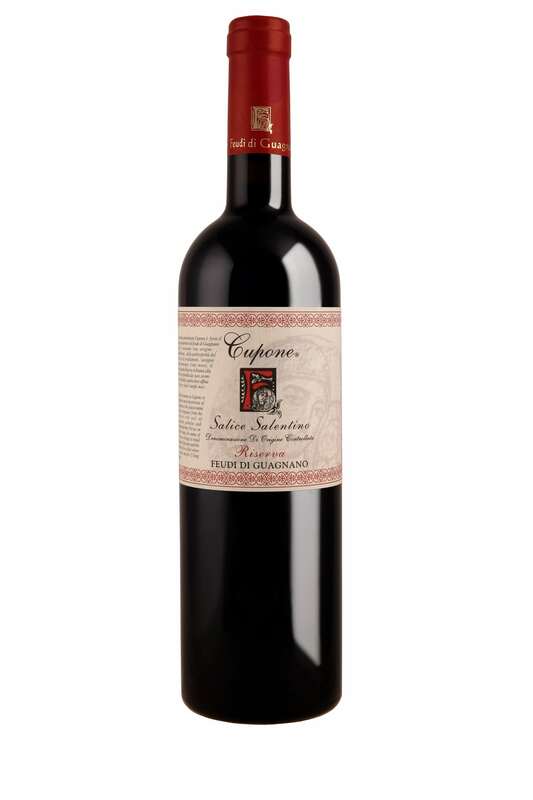 Red wine of particular brightness and consistency, with an austere and unique character obtained from the blend of negroamaro and black malvasia. Walnut and Mediterranean herbs smell. On the palate, soft tannins and balsamic notes. The district Cupone is perhaps the most mysterious place of the feud of Guagnano since the toponym probably originates from the particularity of the soil rich in depressions, chasms and underground rivers. 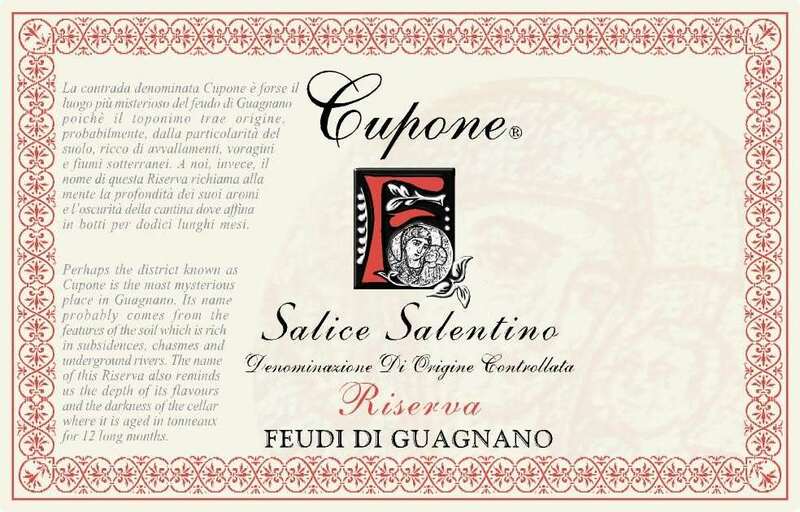 Cupone is produced in Guagnano. The harvest is done manually the second decade of September. The grapes macerate and ferment for two weeks. The resulting wine is aged for 24 months, 12 of which in 5 hl French oak barrels. Only the best vintages are bottled. Its duration is not less than six or seven years.